How long will it take to gain my PPL? Is there a minimum / maximum age requirement for the PPL? Will I have to sit any written exams? If so how many exams are there and how long are they valid for? Can I sit the ground school examinations / flight test at Ravenair? Do you provide ground school tuition to aid passing the theory exams? What if I fail a ground exam/flight test? Is there a medical examination requirement? I see you advertise a PPL package deal, what are the benefits of the package deal compared to pay as you fly? How long is the Private Pilot's Licence valid for? What are the requirements to keep the PPL current? What advantages does Ravenair have over its competitors? How many aircraft do you have in your training fleet? Do you have a simulator on site to assist training? Can I remain with the same instructor throughout the course? How often can I book a flying lesson? Once I have gained my PPL is there other licences and ratings I can achieve through Ravenair? Can I apply for any grant schemes to aid funding? Is there a passenger weight restriction, if so can I upgrade to a larger aircraft? Have students suffered from air sickness, if so have they managed to complete the PPL syllabus? Can I use the PPL privileges abroad? Are there any useful websites / literature which I can use to find out information on the Private Pilot's Licence and General Aviation? There is no time limit as to how long the PPL course will take to complete. The syllabus requires a minimum of 45 hours flying though the average PPL student completes a course in about 60 hours. The length of the course is purely dictated on a combination of weather conditions and the student’s own availability for lessons. Although there is no official minimum age for the commencement of PPL training you can only log hours if you are 14 years or older. However as part of the PPL course 10 hours of your flying will be done solo and to do this you must be at least 16. To receive your licence from the CAA you must be at least 17. There is no maximum age for the PPL, it is purely determined by whether you can acquire a valid medical certificate. Yes, as part of the PPL course you must pass a total of eight theoretical groundschool exams plus a Radiotelephony course which includes both a written and practical exam. All of the exams are multiple choice, with a pass mark of 75%. All exams must be passed within an 18 month period, starting from the end of the month when the first exam was sat. They are then valid for 24 months from the date of successfully completing all exams. All the exams are to be passed in a maximum of SIX sittings. A sitting is defined as the attendance at an examination centre (the flying school) for the purpose of taking one or more examinations. When taking more than one exam, these must be completed in a MAXIMUM OF TEN CONSECUTIVE DAYS to count as one sitting. Only one attempt at each paper may be made in any one sitting. A candidate is not compelled to wait until the end of the ten consecutive day period before attempting the re-sit of a failed paper; but, whenever a re-sit is attempted a further sitting will be considered to have commenced. To assist in the number of sittings not exceeding the maximum of SIX, the exams are to be sat, as listed above, as an absolute minimum. This then leaves two sittings spare in case re sits are required. NOTE: YOU DO NOT NEED TO WAIT FOR EACH STAGE, DESCRIBED ABOVE, TO BE COMPLETED BEFORE PASSING ANY OF THE EXAMS. YOU CAN STUDY AND SIT ANY OF THE EXAMS AT ANY TIME. THE ABOVE IS ONLY A GUIDE. Yes, it is possible to sit the groundschool exams at our Liverpool base. Times and dates can be arranged with our in-house examiners. Most students choose to self-study for the exams but at Ravenair we do offer formal groundschool evening classes for those students who would prefer to be taught in the classroom. Prices and dates of courses are available upon request from 0161 486 6161. Alternatively, one-to-one groundschool tuition can be organised, again by calling the above number. If you are unlucky enough to fail a groundschool exam then the school may recommend more formal training to identify and correct any errors or gaps within your knowledge, to allow you to do better on the next attempt. The pass mark for each exam is 75% and you can take up to three attempts for each subject. Yes. In order to fly solo and to exercise the privileges of your licence you must hold a valid medical certificate. There are three types of medicals available, a Class One which is required for students and licence holders wishing to obtain a commercial licence or a Class Two which is the certificate required for PPL holders. The examination is performed by an Aero Medical Examiner (AME) of which there are several in the local area. More information can be found on the CAA website or by telephoning our booking office. For the LAPL a less stringent LAPL medical can be obtained. The PPL Package includes 45 hours flying training, first attempts at all six groundschool exams, the first attempt of the final skill test flight, a one year membership to Ravenair and all landing fees incurred during the 45 hours. For this reason the package works out to be the much cheaper method of payment for the course, especially during the “circuit” phase of training where the student is learning to master the landing stage of flight. A PPL is effectively valid for life though. Any ratings on your licence must be renewed as each one requires. The most common rating is the Single Engine Piston (SEP) Rating which is valid for two years. In order to revalidate this you must have completed at least 12 hours in the second year of the rating, of which at least six must have been solo, and one hour must have been with an instructor. Any ratings that have lapsed beyond their validity period will need to be renewed in order to be able to exercise their privileges. This normally involves a Proficiency Check Flight with an examiner. Ravenair offers students the opportunity to complete all PPL training and associated Ratings, then continue all the way to commercial training if they so wish, within the same company. The company has several in-house examiners and a large fleet with a dedicated maintenance department to ensure the upkeep of our fleet at all times. We have 7 PA38 Tomahawk aircraft, one PA28 Warrior aircraft and two PA34 Seneca multi-engine aircraft for more advanced training. Yes, we have a FNPT II CAA Approved simulator at our Liverpool base which can be used to practise more complex procedures before actually doing them in the aircraft in the CPL and IR course. Yes, it is perfectly possible to remain with the same instructor throughout your course, if you choose to do so. Ravenair has a highly skilled team of instructors who have regular working days, allowing students to co-ordinate lessons in line with their particular instructor’s working days if they so wish. If you specifically wanted to fly on a day your instructor was unavailable, there is no particular disadvantage in flying with another instructor; as each student has a personal record documenting all flights and areas to work on for each lesson, it means that should you need to fly with a different instructor at any point, this can be achieved with no disruption to your training. 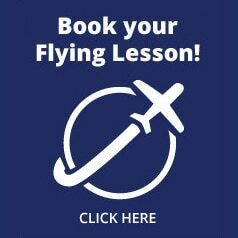 All bookings for our instructors are made through our Central Booking Line, and it is recommended that the earlier you book, the more chance you have of flying with the instructor you want. 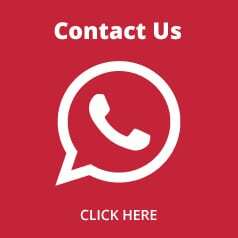 There is no limit to how often you can book a lesson with us. Ravenair operates five slots per instructor per day. The slots begin at 08:30 and run for two hours each. During the winter months there are only four slots per instructor per day, due to the reduced hours of daylight. In order to avoid disappointment it is recommended you book your slots as early as possible. We are open seven days per week. If, for example, you can only do one day per week it is possible to book a double slot, if this is available with the instructor you want to fly with. In order to maintain a certain level of continuity and because weather and other factors can cause a lesson to be cancelled, it is worth booking at least one lesson per week. If you need to cancel a lesson for any reason then a minimum of 48 hours notice must be given (unless it is due to weather circumstances on the day). There are several ratings that you can add to your licence once you have completed your PPL course of study. These include a Night Rating, an IMC Rating, Instrument Rating or Commercial Licence. Details and prices for these courses can be found on our pricelist or by contacting us at any point. There are various scholarships and bursaries that are available from time to time, which include partial or full funding of a PPL course. These are offered by The Honourable Company of Air Pilots, The Air League and the British Women Pilots’ Association (BWPA), to name a few. More information can be obtained from their own websites. For every flight our aircraft must adhere to strict take off and landing weight restrictions for performance, safety and legal reasons. If the aircraft is overweight then it will not be possible to go flying. We do have a four seat aircraft available to use for flying lessons (PA28) which has a higher weight restriction; this can normally resolve any weight issues that may arise from trying to take a two seat PA38. Some students from time to time have suffered from mild effects of air sickness. Air sickness usually diminishes with increased exposure, as the body becomes more accustomed to the sensations of flying a light aircraft. There are several remedies for air sickness including wrist bands that can reduce the effects, especially on turbulent days. Many students have felt slightly air sick at the start of the course but lots have gone on to complete their courses with no further problems – some even becoming commercial pilots! The PPL you will receive upon the successful completion of your course is a European Part-FCL PPL which allows you to fly in most European countries without any conversion training required. If you wish to fly in the United States then you will need to convert to an FAA PPL which is normally just a paperwork exercise, though a check flight would normally be required at each flying school’s own discretion. For any more information about Ravenair please feel free to contact us directly on 0151 486 6161, or arrange to come in for a guided tour of our facilities and find out more information about groundschool subjects, tuition and the PPL course. Flying equipment and theoretical course material can be purchased via either the flying school or Pooley’s website where you can obtain a 5% discount on any online purchase simply by placing “Ravenair” in the promotional code box.